If there’s one thing you can rely on from Hollywood, it’s consistency. Once a formula that works is found, it’s rarely tinkered with. However, with "Enemy Of The State", it seems that both star Will Smith and director Tony Scott want to change their images ever so slightly. Smith and Scott veer from the usual over the top fare to present something a little more serious. In "Enemy Of The State", Will Smith plays Robert Clayton Dean, a Washington, D.C. labor attorney. He’s young, successful, and has a loving family. While Dean is Christmas shopping, a man on the run from the National Security Agency (NSA) drops a computer cartridge into one of Dean’s shopping bags. The cartridge contains video footage of a senator being murdered by one of the agency’s officials. While Dean is unaware of the important document that is in his possession, the NSA moves in and places him under surveillance. They also begin to destroy his credibility and bar him from gaining assistance. With nowhere to turn, Dean goes on the run and finds help with Brill (Gene Hackman), a mystery man who knows a great deal about government surveillance and tracking equipment. Will Dean ever be able to get his old life back? "Enemy Of The State" tries to separate itself from the typical "They’re out to get you" film, but bringing the audience into the world of high-tech surveillance. We are giving a mind-blowing sampling of tracking-devices, bugs, wire taps, and satellite surveillance, which offers video of any location on the planet within seconds. The film would have us believe that the government can watch us, anytime, anywhere. Director Scott using many different camera angles, quick cuts, and filming styles to illustrate the different surveillance techniques.As stated above, Scott and Smith seem to be trying to bring us something different with "Enemy Of The State". For Scott, who has a tendency toover-glamorize EVERYTHING in his films, "Enemy Of The State" takes place in a world that most of us would recognize. The houses, buildings, offices, etc. all look pretty normal and not overly stylized. The lone exception is the lingerie store that Dean goes into to get a gift for his wife. The store has no display racks, only neon lights, pulsating music, and models walking the store showing off the products. Yeah, stores like that can be found in every local mall. Also, Scott seems to be focusing more on characterization in this film, rather than actual situations. Whereas most of his previous films concentrate on moving the story from one action set-piece to the next, this film takes much more time to develop the characters and puts the focus on dialogue scenes. Unfortunately, this change of pace slows the film down in some places. As for Smith, he plays the character of Dean as more mature and slightly (and only slightly) more humble than the characters in "Independence Day" and "Men In Black". Dean is a family man who just wants to get his old life back, and Smith is able to convey that. When he is on the run, we feel his panic and confusion. However, Smith does not pull off the role of young, successful labor lawyer. I am much more prepared to believe that Smith could talk s–t to a alien and survive, than I am to swallow that he could tell off a mafia boss (played by an uncredited Tom Sizemore) and live. Despite his obvious talent in some respects, Smith seems unable to completely remove cockiness from his personality when acting. While "Enemy Of The State" does have some very interesting things to say about the privacy of average citizens, and Scott and Smith try to present something new, it doesn’t achieve all of its goals. 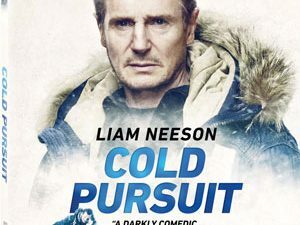 While the film offers some intense action scenes and a great car chase, the plot still seems very cliched and the script illogical and inaccurate in many instances. Gene Hackman (playing a role very similar to the one he played in "The Conversation") does bring a spark to the film, but he comes into the movie quite late. At two hours plus, the movie runs a little long and clearly feels padded at times. However, I must admit that I did like that final confrontation between the hero and the villain, that contained a plot twist that I should’ve seen coming, but didn’t. Incidentally, that final scene had a strong Tarantino vibe to it and I can’t help but wonder if Tony Scott didn’t call on his "True Romance" partner for some help. The Touchstone Home Video DVD of "Enemy Of The State" offers a mixed bag. The picture is <$PS,letterboxed> at 2.35:1 and showing no distortion or bending. The picture is crystal clear and is the perfect format to show off Scott’s flashy visuals. However, the transfer has been over-enhanced quite a bit to achieve that extremely sharp look and as a result ringing is visible through out the film with unnaturally harsh edges. While Buena Vista has the recipe to create some of the best looking non-<$16x9,anamorphic> transfers, as we have seen in the past, with this one they went a little too far creating an almost sterile looking picture. The color balance is done very well, as Scott juxtaposes the warm colors of Dean’s homelife to the bleak colors when he’s on the run. The aggressive <$DD,Dolby Digital> <$5.1,5.1 channel> soundtrack sounds great, offering good but never exaggerated bass extension, especially during the action scenes. The soundtrack works especially well during the surveillance tracking scenes, as we are bombarded by multiple voices and digital clicks that swirl around the viewer. The DVD offers two production featurettes that each show minimal behind the scenes footage and are mostly made up of clips from the film. Production featurette #2 does show how the big explosion in the film was done. There is a theatrical trailer for "Enemy Of The State", plus trailers for other Jerry Bruckheimer films; "The Rock" (great preview! ), "Armageddon", and "Con Air". My big problem with "Enemy Of The State" wasn’t with what was on the disc, but rather what was missing. The movie presents the viewer with all kinds of surveillance technology and makes it seem real within the context of the film. Upon viewing the film, one can’t help but wonder how much of it was true. The "Enemy Of The State" DVD could have benefited greatly from a more in depth behind the scenes look at which parts of the film were true and which parts the writer created. With the depth of DVD and the millions of dollars that they generate ("Enemy Of The State" has been the number one selling DVD for three weeks straight), a little time and effort could be taken to put some decent extras on them. I realize that this isn’t a new argument, but when I watch films like "Enemy Of The State" (or bio-pics like "Bonnie And Clyde"), I truly have to wonder why the effort couldn’t be made to educate the viewer, as well as entertain. To be quite honest, I didn’t expect much going into "Enemy Of The State", and I was honestly surprised by the chances it took to do something a little different. While it wasn’t 100% successful, the movie still offers some harmless thrills and a good performance by Gene Hackman. It may not have been the career changing film that Will Smith and Tony Scott hoped it would be, but it’s nice to see them try.